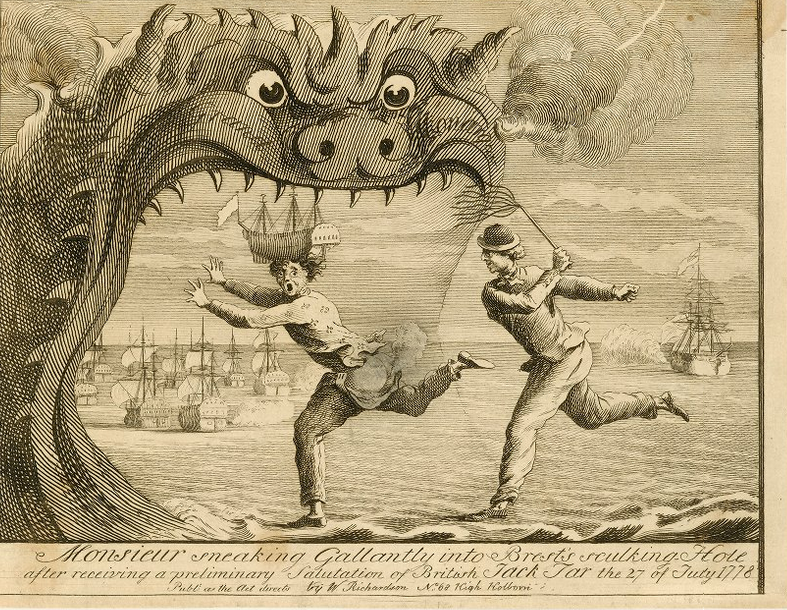 British Tars, 1740-1790: Monsieur Sneaking Gallanty into Brest's Skulking Hole, 1778. Monsieur Sneaking Gallanty into Brest's Skulking Hole, 1778. Monsieur Sneaking Gallantly into Brest's Skulking Hole after receiving a preliminary Salutation of British Jack Tar the 27 of July 1778, W. Richardson, 1778, John Carter Brown Library. 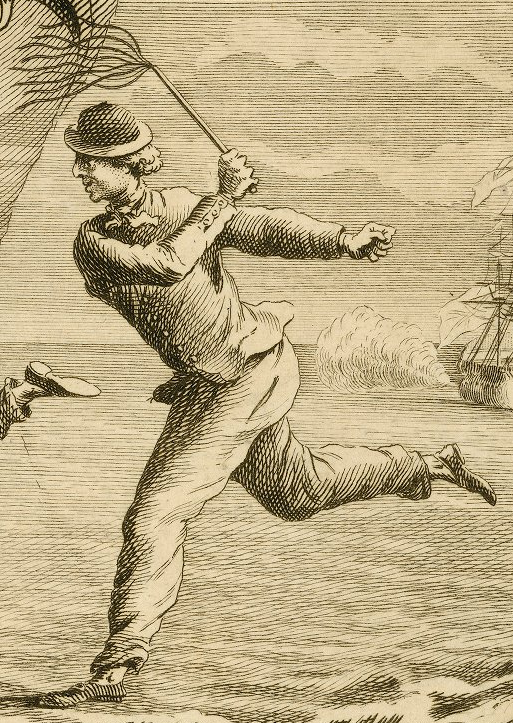 A Frenchman with a ship for a hat and a jacket covered in fleur de lis flees from a British sailor wielding a cat-o-nine into the gaping maw of a monster. The Frenchman is so caught up in his flight that his trousers have dropped, and smoke erupts from his posterior like the guns of the ships in the background. Jack Tar wears a round hat with a narrow brim, and short, loose hair. His neckcloth is a solid, light color, and his jacket is single breasted. Trousers with side seam pockets cut off above the ankle, and he wears no stockings. Jack's shoes are round toed with oval shaped buckles.